‘Sinatra: The Centenary Celebration’ salutes the defining voice of the 20th century. For one night only, Sinatra’s music will be brought to life through the outstanding talent of Rick Michel direct from Vegas, whose performance was praised by Frank Sinatra himself. ​It is Rick's voice you hear on the show's promo video. Woven together by a moving narrative, the concert paints a portrait of Sinatra that provides audiences an intimate glimpse of the life he lived...his way. Supported by Australian jazz sensation, Liam Burrows and NZ’s premier Big Band, the Auckland Jazz Orchestra with a 12 piece string section. Take a trip down memory lane, from the songs that had the bobby soxers screaming adulation, through to the poignant raw performances of his final years. 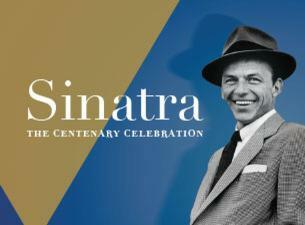 Bear witness to Frank Sinatra’s indelible musical legacy and be part of 100 years of history. "To hell with the calendar," a music critic wrote before his death in 1998, "The day Frank Sinatra dies, the twentieth century is over."